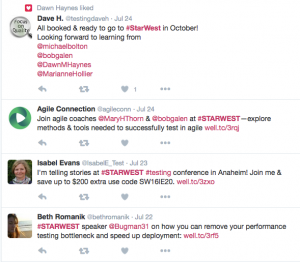 Ready to attend STARWEST, but wondering how to convince your boss? We have some tips to help you get the approval to attend and return with tangible action items your boss will appreciate. Get Informed: Familiarize yourself with the conference schedule and speakers (once they become available) before you discuss the conference with your boss. Determine which learning sessions best align or contribute to you and or your organization’s short-term and long-term goals and objectives. 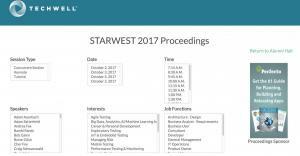 STARWEST provides over 100 learning opportunities, each covering a wide range of testing topics, so you can choose which content is right for you and your organization to build a customized week of learning. Use the interests and job function filters (coming soon!) on the top of our conference schedule page to help you develop a custom schedule. Draft Your Request: Open and customize this justification letter based on the goals, objectives, and interests you’ve defined. Start Early: Start the approval process early to take advantage of the biggest ways to save discounts. 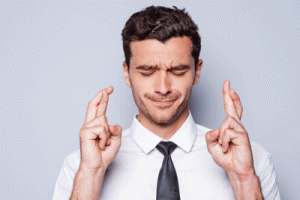 Putting your request in early will also ensure enough time for the approval process and coordinating schedules for any additional team members attending the conference or for those covering your projects in your absence. Don't forget that groups of 3+ can save up to 20% off each registration. Take Notes: Be sure to jot down at least three key takeaways at each session and identify actionable items with an asterisk for easy reference later. Share the Knowledge: Post insightful observations and takeaways about the sessions you attend on your favorite social media channels while you are attending the event. You'll gain new followers, grow your network, and your colleagues will see what you're learning in real-time. The official Twitter conference hashtag is #STARWEST. Work It: Take advantage of the conference networking and solutions opportunities to exchange thoughts with like-minded industry peers and mentors. Reach out to fellow attendees through the conference mobile app to meet at the events throughout the week and broaden potential discussions. Review the Goods: Download the conference proceedings to recap the learning sessions you attended as well as any you might have missed. Most conference keynote, tutorial, and concurrent session slides will be available post-conference for alumni on members.techwell.com which will make it easier to share information with your team when you are back at the office. Prepare Your Report: Review your takeaways, actionable items, and social media posts with this conference summary report template to create a report detailing what you learned.